It is the goal of our District to educate students to have exceptional mathematical knowledge, have an understanding of mathematical concepts, and be able to apply mathematics in the solution of real world problems in the 21st Century. Classroom teachers prepare students to meet the new Common Core Learning Standards using a variety of resources. Valley Stream Union Free School District 30 utilizes the My Math program for math instruction. This program is fully aligned to the Common Core Learning Standards for Math. In addition, it has a collection of web resources to help students be successful as they practice math skills across the year. 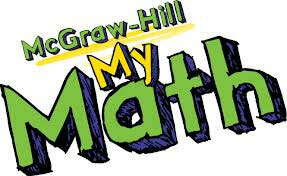 Please click on the MYMATH banner above to learn more about the MY Math program. The District utilizes the evidence based program “Do the Math” as an intervention tool for students in need of additional support in mathematics. Cool Math is a website that offers fun practice in problem-solving and computation in the form of online games. The Math Playground website also engages kids through online games aimed at helping students practice and sharpen their math skills. There is also a section of tutorial videos. “Everyday Math Ideas for Busy Parents"
Here are a few simple ideas to help your child see that math is fun and something we experience not just in school, but all around us. Estimation is a powerful tool in mathematics. Here are some ways to sharpen your child's skills. In the car, make a game of estimating when you've traveled a mile. At the grocery store, estimate the total bill. Around the house, estimate the time needed to do chores, the number of candies in a bag, or how much something weighs. Make a game of checking your child's estimates against actual measurements to see how close they were. Write the letters of the alphabet on an index card and put a money value under each letter. For example, A = 1 cent, B = 2 cents ... Z = 26 cents. Challenge your child to figure out the "word value" of his or her name ("Inez" would be 9 + 14 + 5 + 26 = 54 cents). Challenge your child: "What's the most expensive word you can write?" "How many words can you find that are worth exactly $1.00?" Restaurants serve up plenty of math opportunities. Help your child estimate the bill, or make up an order for an appetizer, entrée, and dessert that totals less than whatever amount you suggest. Talk to your child about the numbers and fractions you use while preparing meals. Demonstrate how much of the "whole" a fraction represents. Have your child help you measure ingredients, and set challenges. "How many 1/4 cups of water do we need to make 1 cup?" "What should we do if we want to double the recipe?" "What about cutting the recipe in half?" Look for numbers in the news (how long something took to happen, how big or small something was, a pattern of events that is recurring) and share them with your child. Is there a way to turn the number news into an activity? Find the weather map in a newspaper and challenge your child to locate two cities on the map with the same difference between their low and high temperatures. Find a city that has a temperature about twice as high as another city. Find an area on the map that has nearly the same high and low temperatures as your area.